In the Boston Indoor Bowls League, Orchard Health Group Division One leaders Carlton Road showed their capabilities by winning all the points whilst those chasing them let points drift away. Against Patriarchs, Chris Gill (23-15) and Les Feary (32-9) triumphed for six points. Second-placed Holland Fen’s Bazza Wilson, Ron Flower and Mick Tomlin (27-7) claimed the aggregate points but A40’s Lewis Skinner, Gill Grant and Jean Cammack replied with a 15-21 success. Invaders’ Pete Hoyles, John Spencer and Scott Whyers won 9-22, but third-placed Eastenders’ Tony Powell, Colin Box and Matt Whyers claimed the additional points (30-12). Jolly Farmers just claimed the extra points against Norprint, thanks to Sue Hoyles’ 22-12 win. IBC came to the green a man down and paid the penalty as Royal Mail’s Keith Thorlby won 29-10, bettering Richard White’s reply of 18-20. Swineshead had a good result against Punchbowlers, the Westrup-Mews-Barnes trio winning 23-13 to cover the 15-21 reply from Andrew Limb. In the T & B Containers Division Two, the top four all dropped points. Boston Park, in fifth, beat the Burtons thanks to skips Geoff Harris (22-11) and Nigel Taylor (19-12) to move third. Poachers overcame the leaders Feathers with rink wins of 22-10 and 21-14 for skips Mick Dodes and Eric Ulyatt, Feathers dropping to third. Red 5 moved into top spot when they picked up five points from fourth-placed Parthians, Bob Lody winning 27-11 and Tony Beck levelling at 15-15. Third-placed Strollers moved into second by beating the Crowns, Bernard Woods tying at 17-17 and Alex Seaton winning 16-13. Golfers secured the points against Breakaways with wins of 25-11 and 22-11 for skips Norman Ablard and David Marshall. 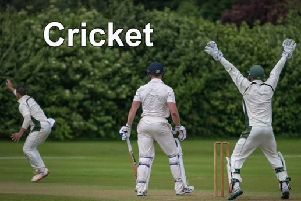 Amateurs picked up their seventh win of the season when they defeated Central with wins of 17-13 and 16-13 for Mick Greet and Tony Nixon. The Autos are going to head the Cammacks Division Three going into the new year. Matched against Dynamics, Margaret Gardner, Tom Freeston and Bernard Skelton won 30-11 and Alan Bontoft, Rob Walters and Jeff Homewood triumphed 22-13. Cosmos beat the Vikings with wins of 13-11 for Rockall, Dunnington and Jean Thompson and 23-12 for Whyers, Bell and Bob Thompson. Sibsey and Shipmates ended with three points each with scorelines of 16-12 for Sibsey’s Sue Bridges and 13-17 for Shipmates’ Ted Vere. Nomads, still looking for their first win, found the Fairways in good form, the latter winning the points 18-12 and 19-10 thanks to Heather Scarboro and Anthea Hall. Traders beat U3 as Gordon Taylor’s 15-19 was pipped by Gordon Neal’s 19-10.